I often prefer the big city, the ancient structure, the regal palace…its easy. Places like Sequoia National Forest or the Eiffel Tower are hard not to love. The most celebrated treasures of the world should be adored, but there are things closer to home, things we see every day which we too often ignore in our hustle and bustle world. The wonders of our own backyards should never be forgotten. 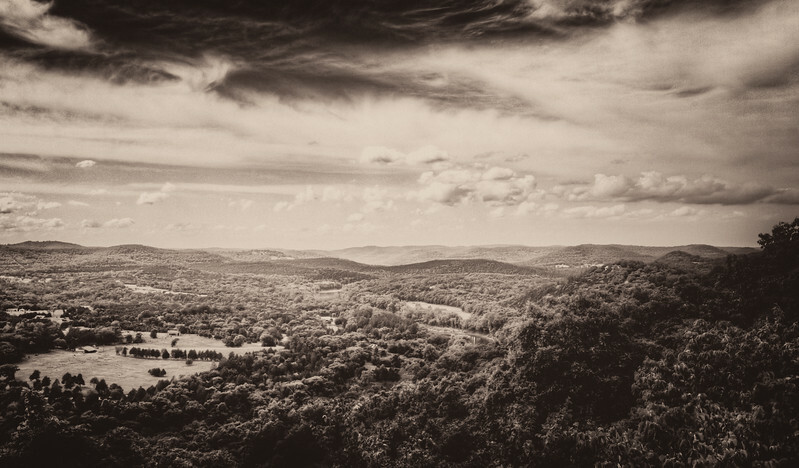 I thought of this on a drive home from Eureka Springs Arkansas when I took this photo at a random scenic overlook. The treasure of others sparkle so brightly while we often ignore the glory and beauty of what we ourselves possess. Be thankful for your blessings. Be thankful to be where you are today…tomorrow it maybe gone.